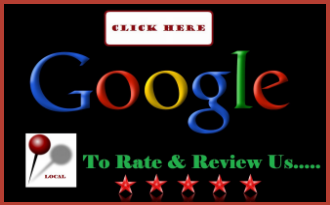 Air Supply Heating and Air Conditioning is a completely licensed, certified, and insured full service HVAC system contractor catering the commercial and residential property owners across the Las Vegas, Nevada Valley. Our number goal is to deliver a phenomenal experience every time we provide services to new and existing customers on a consistent basis. Family-friendly customer service, traditional values, and superior workmanship are the basics with Air Supply Heating and Air Conditioning. Our technicians are among the elite of the industry; having the attributes and credentials necessary to excel in the field. 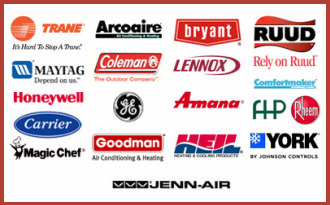 In addition to having the best among the Air Supply Heating and Air Conditioning crew, we exclusively utilize high-end products and equipment available only to licensed professionals to ensure maximum results. 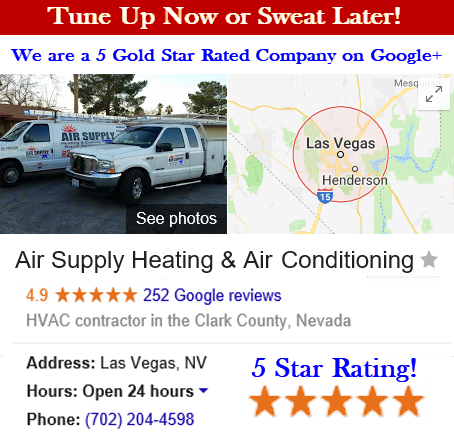 Air Supply Heating and Air Conditioning has mastered the understanding of the HVAC system in commercial and residential settings across the Greater Las Vegas, Nevada Valley area. An important piece to this intricate puzzle are the air filters. We encourage owners to change or clean the air filters as frequently as needed by checking on their condition once a month. Air filters are designed to trap the dust and debris that circulates in the air. With the increased awareness of the quality of the indoor air, the air filters are being designed to aid in the quest to help commercial and residential property owners improve the indoor air quality or the IAQ. 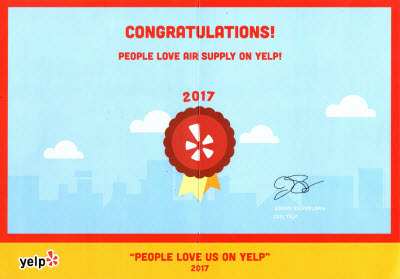 Air Supply Heating and Air Conditioning of Las Vegas, Nevada wants to help homeowners and business owners have a better understanding of the air filters different types to help you find the perfect fit for your building. Signaling the importance of change in the air filtration industry, the American Society of Heating, Refrigerating, and Air-Conditioning Engineers, or ASHRAE introduced IAQ standards. To standardize definitions of efficiency, ASHRAE has been hard at work to promote the minimum efficiency reporting value, or MERV; which measures the filters ability to remove the large airborne particles from the air as well as the dust-spot efficiency, which is the ability to remove the small air borne air particles from the air. Based on these abilities, a filter is given an assigned number to mark its ability. Types of air filters include Fiberglass, Polyester and Pleated Filters, HEPA Filters, and Washable Filters. 1) Fiberglass Filter. A common filter, it is tossed when it has been filled with the dirt and debris. Generally, they are reinforced with a metal grating that supports the fiberglass to prevent failure and collapse as these filters are layered fiberglass fibers that are laid over each other to form the filter media. 2) Polyester and Pleated Filters. Similar to fiberglass filters with the added ability for these filters to have a higher resistance to airflow and an increased dust-trapping ability. 3) High Efficiency Particulate Arrestance (HEPA) Filters. The air passes at a very fine scale on these unit filters; the specifications to filter 99.97% of all particles 0.3 microns or larger through HEPA filters. 4) Washable air filters. These products are not as common and typically used in the industrial processes involving high volumes of coarse dust that rely on the build-up of dust along the cloth to improve the efficiency of the filter. Air filters are an essential part of the HVAC system; when they are neglected they can cause the system to operate poorly, add unnecessary wear, and deliver inefficient comfort. Keeping on top of the regular maintenance is extremely beneficial. If you have any questions concerning the air filters in your Las Vegas, Nevada home or business, contact Air Supply Heating and Air Conditioning and let our specialists assist you!